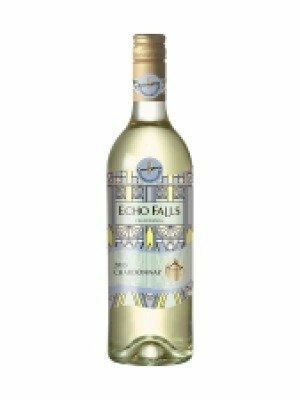 Echo Falls Chardonnay is a popular American White Wine available from Tesco Groceries in 75cl to buy online. Visit Tesco Groceries for the best price for 75cl of Echo Falls Chardonnay or compare prices on our other American White Wine products. A crisp white wine with exhilarating notes of lemon, lime and tropical fruit. Attractive and well rounded with a buttery end. Echo Falls Chardonnay with it's bountiful fruit suggestions that can be enjoyed with a number of dishes but will work especially well with chicken, tuna or baked trout with a broad bean salad. Also charming chilled as an aperitif. Where to buy Echo Falls Chardonnay ? Echo Falls Chardonnay Supermarkets & Stockists. You can buy Echo Falls Chardonnay online in most retailers and find it in the American White Wine aisle in supermarkets but we found the best deals online for Echo Falls Chardonnay in Tesco Groceries, Tesco Wine, Amazon.co.uk, and others. Compare the current price of Echo Falls Chardonnay in 75cl size in the table of offers below. Simply click on the button to order Echo Falls Chardonnay online now.